...staring a new job! It's been two whole months since my last blog post! Where has the time gone! I started a new job as a Regional trainer, I was to travel my neck of the woods delivering training for new systems that were to be implemented over the coming year. Basically the system wasn't quite ready for roll out and the job has ended until January. I am still employed but I'm currently unsure as to what I will be doing over the coming months. Because of the new job i've not had the time to bake and cook as much as I normally do but never fear! I've been on holiday this week and i've spent some time in the kitchen. Last Sunday was the Wimbledon final and I love any excuse to have a BBQ and crack open the pimms. This year Emma came to play and we decided to go all out food wise. 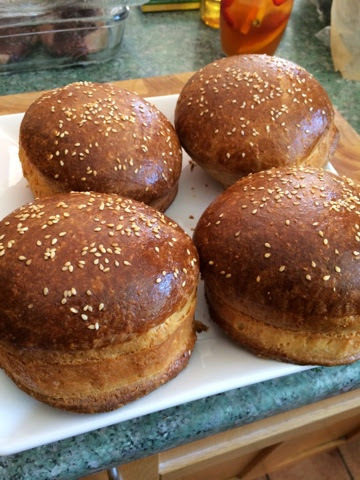 I made some home made Brioche burger buns for the occasion. 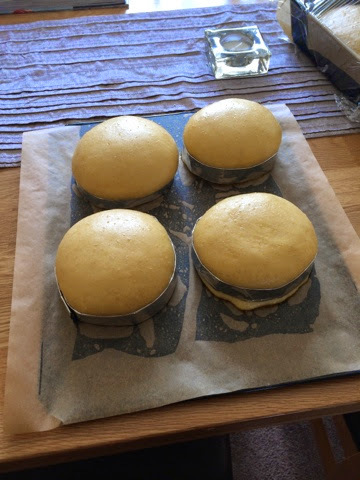 I used Will Torrent's brioche recipe but had to make some home made bun rings out of tin foil, Much easier than you would think! They turned out rather well don't you think? 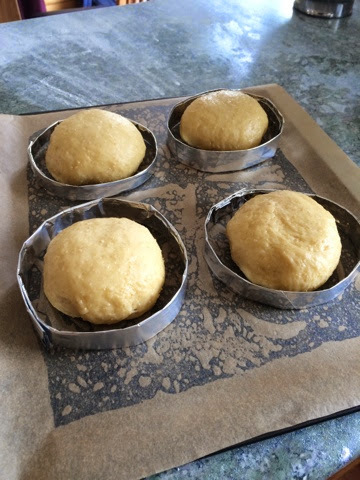 They were beautifully buttery. 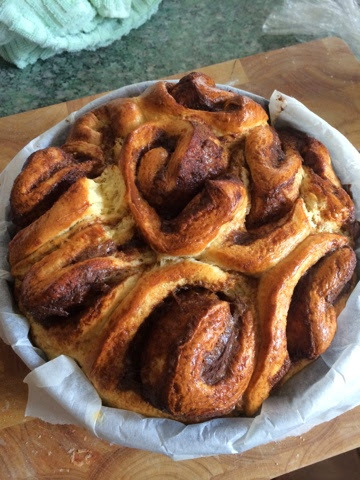 I also made some cinnamon rolls to keep myself amused! The picture doesn't do them justice but they were devoured by the family and I dropped some into my old colleagues for their morning break. I also tried 2 recipes from Sabrina Ghayour's book "Persiana". 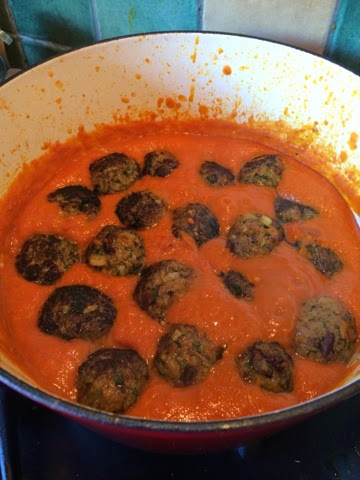 First was her sour cherry lamb meatballs in a spiced tomato sauce. I really cannot speak highly enough of this recipe! It was bloody lush! 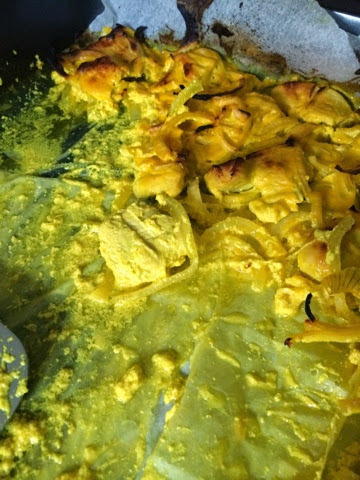 Also tried the Lemon Saffron Chicken which was beautiful, perfect for a warm summers evening. As it has been so long since i've blogged or had time to go out an enjoy the food of life... (well...food..) I've decided to dedicate this entire weekend to the Bristol Foodies Festival. You might remember I went last year and had a brilliant time, If not take a look here and see what you missed. This years event is looking great, the winner of this years master chef (Ping Coombes) is one of the guest chefs and I cannot wait to see what she creates. She's from Bath and it will be great to see some local talent! There is also the Master Chef street food bus! This is probably where you will find me over the entire course of the weekend! Other demonstrations include Larkin Cen from MasterChef 2013 and Glenn Cosby from GBBO 2013. If you fancy coming along tickets are still on sale online or on the door over the course of the weekend.